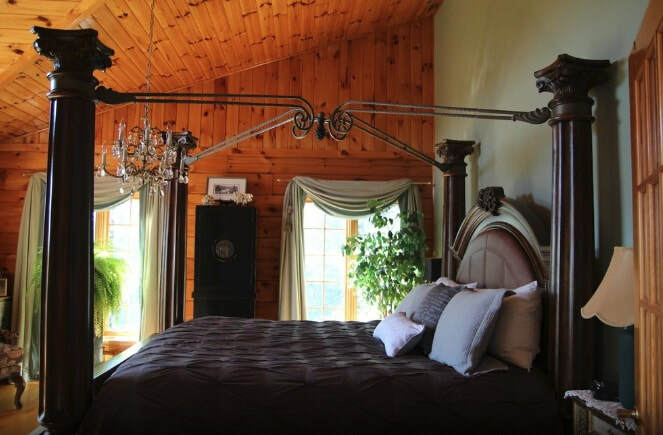 Sumptuous Gourmet Breakfasts With Gracious Accommodations On a Panoramic Country Estate. All Day Coffee and Tea. Relax and enjoy the breathtaking view from the large multi - level outside decking. crown of a hill with sculptured lawns, flower beds and trees, all lending themselves to peace of mind and body. A 4,200 Sq. 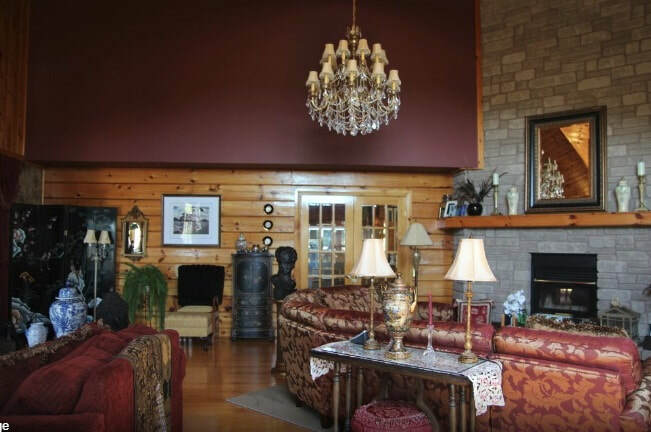 Ft. sky lit, modern log home, furnished with collectibles and antiques. Some of our guests have found the perfect antique for thier home. See something you like ? Please feel free to make an offer! We know you will enjoy our unique see through stone fireplace in the gathering room and dining room area. Reiki sessions are available by appointment. Picnic lunches are available on request. that include an ensuite jacuzzi, with either a private or shared bath. 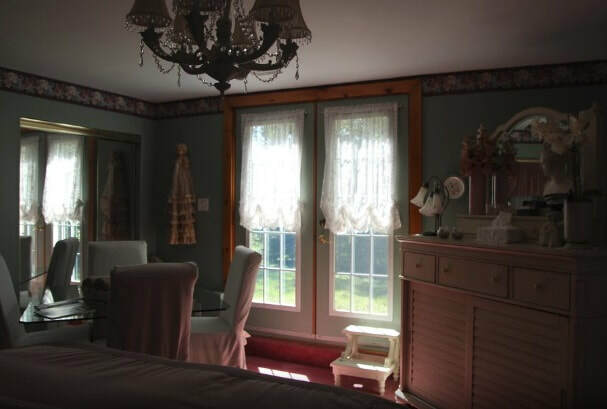 Our room are air conditioned for your comfort. Here you will find a peace and quiet that matches your every need for relaxation. Please Click On Any Of The Text For Room Rates and More Information. discover what it has to offer in all seasons. Walking Trails, Bird Watching, Cross Country Skiing, or Snowmobiling always bring delightful surprises.